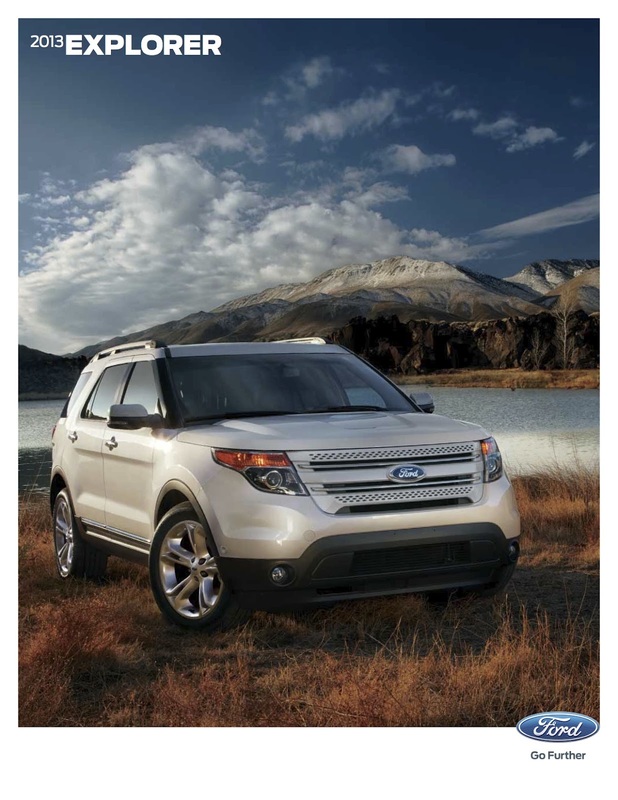 BRIGHTON, Mich. – The Ford Explorer has long been one of the best-selling SUVs in the market. A capable tow vehicle and off-roader, it also offers the generous interior space, comfort features and safety technologies necessary for day-to-day tasks. The 7-passenger Explorer is available in both front- and four-wheel drive configurations, with a choice of four trim levels: Base, XLT, Limited and Sport. A 290-hp 3.5-liter Ti-VCT V6 engine and six-speed automatic transmission with SelectShift manual mode are standard on all trims. The 4x4 models get a user-friendly terrain management system, while an efficient 237-hp 2.0-liter turbocharged Ecoboost four-cylinder engine with direct fuel injection is available for FWD models. Explorer Base trims are well-equipped with 17-inch wheels, air conditioning, cruise control, MP3 capability and MyFord driver connect technology; XLT trims add 18-inch aluminum wheels, fog lamps and a reverse sensing system, along with a USB port, satellite radio and the SYNC communications and entertainment system. Limited trims are further outfitted with 20-inch aluminum wheels, dual-zone automatic climate control, heated front seats, leather upholstery, HD radio, Intelligent Access with push-button start and a rearview camera. Standard safety features on every Explorer include AdvanceTrac with Roll Stability Control and Curve Control function, traction control, anti-lock disc brakes and a tire pressure monitor, as well as Ford's MyKey owner control feature and six airbags. Industry-first second-row inflatable seatbelts are available on XLT and Limited models, packaged with a Blind Spot Information System (BLIS) with cross-traffic alert; additional options include Active Park Assist and adaptive cruise control with collision warning. The Ford Explorer carries over with minimal changes for 2013. A front passenger knee airbag is now standard on all models, while XLT trims get a six-way power front passenger seat. Additionally, Lane Departure Warning and Lane Keep Assist are offered on the Limited trim for this model year, and the available high-intensity discharge (HID) headlamps now include automatic high beam control. The big news for 2013 is the addition of the high performance Sport trim with a 350-hp twin-turbo V6, sport suspension, 20-inch wheels and unique sport trim inside and out. If you have any questions about the new 2013 Ford Explorer inventory, please contact us right away. We would be more than happy to assist you.